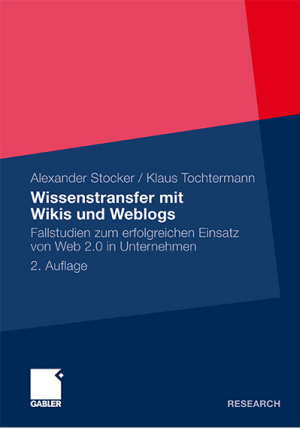 Alexander Stockers Weblog zu Web 2.0 für Unternehmen: What's the challenge in Web 2.0 business? What's the challenge in Web 2.0 business? According to Tim O'Reilly the web as a network is different. So is business on the web, when users started to become the masters of data creation. To benefit from that all, companies have to develop a logic in their applications, which makes them better the more user use them. And that is not as easy as many companies might think. However, what nobody tells the companies is: How to attract first users? As far as I experienced, Web 2.o platforms are no fast selling items. A critical mass of users is necessary for the network effect to start. And it will be quite a hard work to attract the first users havingan empty - not very exciting - platform. So, how to attract the first users? First of all the new platform has provide a service sufficiently beneficial on an individual level - without thinking about the crowd and their preferences. The crowd will never come, if the individual user fails to experience a significant benefit. Data created by individuals must not be made available to the crowd - until there is a critial mass of data. I hate empty platforms, and I will leave them instantly if I stumble upon. I think many of the platforms created fail this step. Second, applications have to be designed, that the benefit for the individual is greater, when able to also attract friends (with close enough ties - so they will answer the request) to the platform - forming a community. Allow individuals to use their communities - eg. let them work together on tasks to conduct or on wishes to fulfill... . or share photos and bookmarks. But do not let them make the content available to the public when there is still a lack of content. Third, for the network effect to start, services have to be defined, that allow the user to benefit from every single piece of data created and user available on the platform. Make the data open to everybody and let the users define new ideas of adoption. Make the bookmarks available to everybody and let the users engange relationships - fostered by bookmarks or videos linking them.